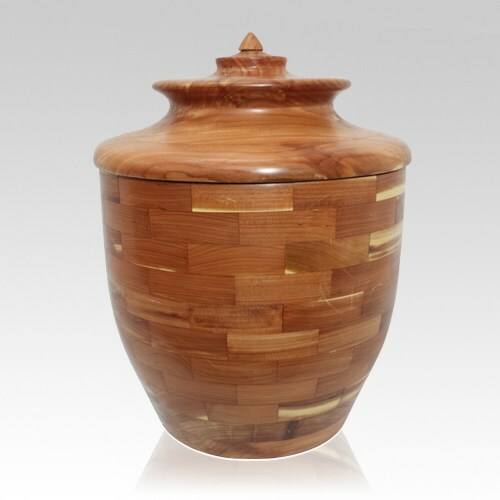 The Triumph Wood Cremation Urn is hand crafted through a labor intensive process, using solid cedar wood. The urn is made by assembling separate pieces of wood into the basic shape of the urn, and once dried, the urn is refined by hand on a lathe. The pattern of the wooden tiles, combined with the natural pattern in the wood creates a truly stunning effect.